When it comes to booking a luxury holiday, we think people deserve the best information, advice and expertise they can get their hands on. 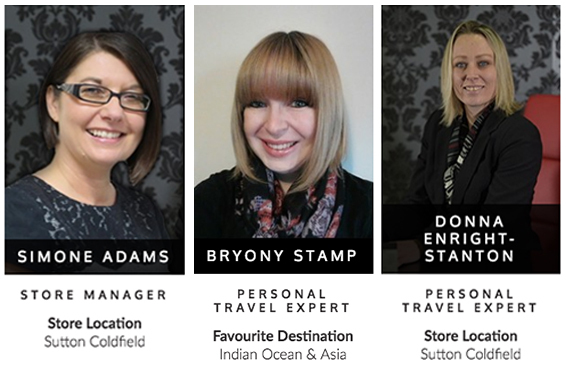 Our team of travel advisors have a great combined knowledge of the world and provide clients with first-hand experience of their exciting adventures to many of our popular destinations because what better advice is there than first-hand experience? Throughout the process of booking your dream holiday our travel experts who will be there to help you with all enquiries, whatever stage of planning you’ve arrived at. 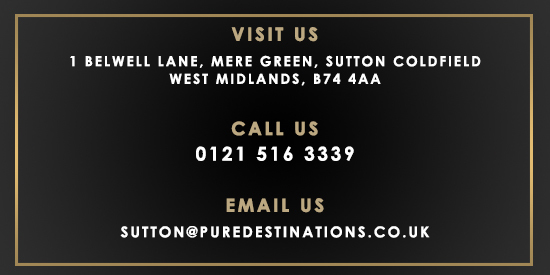 At Pure Destinations, we are thrilled to honoured to be a Kuoni Partner Store. Kuoni is a travel brand synonymous with luxury and offers a portfolio of hand-picked world class accommodation throughout the world. Pure Destinations have been selling luxury holidays for the past five years from honeymoons, cruise holidays, multi-centre holidays and everything in between. We pride ourselves on our first-hand experience of the world and offering our clients nothing but luxury accommodations and that is why becoming a Kuoni Partner Store is very fitting for us, to be associated with a company who offers such high standard of accommodation. Kuoni is a big name in the travel industry having won over 170 awards including Best Large Luxury Tour Operator at the Telegraph’s Ultratravel Awards 2013 and Best Honeymoon Company at the Perfect Wedding Awards 2013. We don’t just book holidays at Pure Destinations, we help create memories as we tailor make each part of your trip of a lifetime from the smallest of details to the large details, each part helps make your luxury holiday simply unforgettable.